“What keeps objects from floating out of your hand? What if your feet drifted away from the ground? What stops everything from rising up into space? See the publisher page for a link to teachers notes and a slideshow of pages from the book. This fabulous book takes a scientific principle and portrays it simply and accurately for the youngest reader. The author pairs objects that kids will instantly recognise in the illustrations, with simple text (sometimes only one word per page). The illustrations and the words seem to amplify the meaning, going from objects around us to what happens in space and the gravitational pull of big objects.The scientific explanation of the theory of gravity is explained in the back pages “More about gravity” – but this is nicely done…still simple but with clear visual to help explain the concepts of attraction, mass and distance. Each time I read this it grows on me a little more. If you serve students in your library in the lower year levels who are interested in science and ask many ‘what if’ and ‘why’ questions, then they deserve this book! Buy it – we should all have non-fiction picture books like this in our school library collections! I want to share a picture book that fits with my collection ‘vision’ of having resources for our students that stimulate curiosity, imagination and wonder and encourage questioning and thinking. You are stardust is an incredible mix of science, imagination, environmental awareness, spirituality and hope for the future of the earth. The writing is almost poetry, but every beautiful, whispery sentence is backed by real science. The book is also available as an iPad app. Unfortunately this is not available in the NZ itunes store at this time. 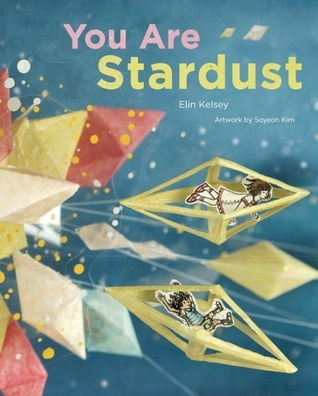 Please see this beautiful piece at Brain Pickings about this book. It was reading this article that made me want to order the book immediately. Published by Owl Kids, 2012. For every child who has ever looked up at the stars and asked, “What are they?” comes the story of a curious boy who never stopped wondering: Carl Sagan. “When Carl Sagan was a young boy he went to the 1939 World’s Fair and his life was changed forever. From that day on he never stopped marveling at the universe and seeking to understand it better. 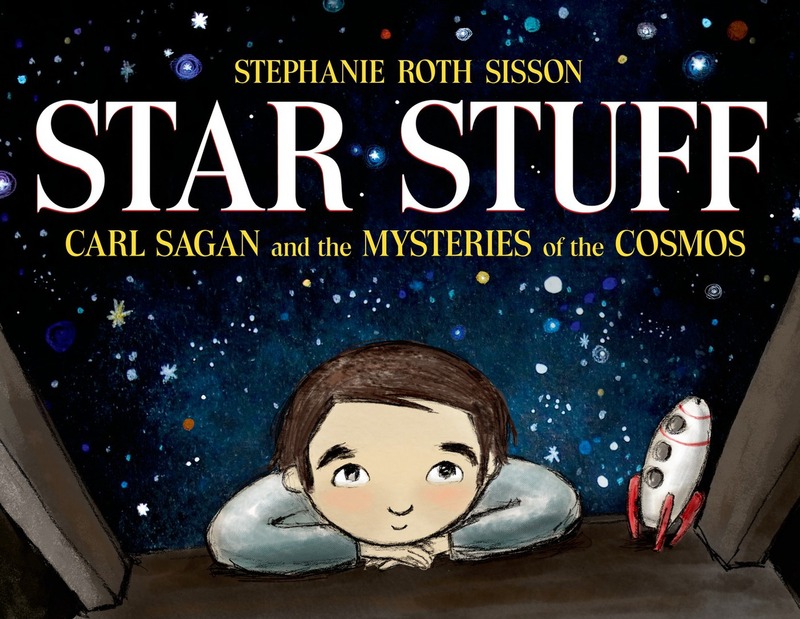 Star Stuff follows Carl from his days star gazing from the bedroom window of his Brooklyn apartment, through his love of speculative science fiction novels, to his work as an internationally renowned scientist who worked on the Voyager missions exploring the farthest reaches of space. This book introduces the beloved man who brought the mystery of the cosmos into homes across America to a new generation of dreamers and star gazers. “[Publisher website]. I recently borrowed this from Auckland Libraries, but it’s firmly on my list for purchase as soon as I return to school. I’m going to use it in any unit of inquiry where we are looking at innovation and curiosity. This will be especially valuable for our Year 3 PYP Where we are in place and time unit of inquiry, with the central idea “Exploration and discovery leads to new understandings and opportunities” where the focus of the inquiry is on space exploration. I’m going to shelve this with the biographies related to astronomy and space at 520.92 SAG. This is the same spot where students can find books about Galileo and right with all the really popular material on space and astronomy. The 520s are an area I’m currently trying to simplify within Dewey. When students need to look at biographies as a genre it is easy for them to find books about the person they are interested in by searching for them by name in our catalogue. All picture book biographies in our collection are tagged BIOGRAPHY and we consistently use a subject heading like Sagan, Carl – Biography. I have found that not having all the biographies at 920, but within their subject area, is far better for browsing kids and a result, the books get checked out more often (not just when students are looking at biographies – which may only be once a year). Available for purchase from Wheelers or to borrow from Auckland Libraries. I was incredibly excited to receive this book in the post today…. Bomb : the race to build – and steal – the world’s most dangerous weapon by Steve Sheinkin. Published by Macmillan, 2012. Hardback 266 pages. In December of 1938, a chemist in a German laboratory made a shocking discovery: When placed next to radioactive material, a Uranium atom split in two. That simple discovery launched a scientific race that spanned 3 continents. In Great Britain and the United States, Soviet spies worked their way into the scientific community; in Norway, a commando force slipped behind enemy lines to attack German heavy-water manufacturing; and deep in the desert, one brilliant group of scientists was hidden away at a remote site at Los Alamos. This is the story of the plotting, the risk-taking, the deceit, and genius that created the world’s most formidable weapon. This is the story of the atomic bomb. 2012 National Book Awards finalist for Young People’s Literature. 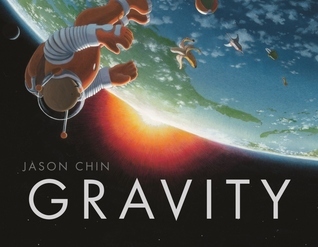 2012 Washington Post Best Kids Books of the Year title. Read the Kirkus Review of BOMB The Race to Build—and Steal—the World’s Most Dangerous Weapon. In late December 1938, German chemist Otto Hahn discovered that uranium atoms could be split, and just a few months later the race to build an atomic bomb was on. I have yet to read Bomb in full, but I quickly read the prologue and enthusiastically scanned the chapters, indices and bibliography after opening the package today. My initial impression was WOW…this book reads like an exciting spy story. I am so keen to get this into the hands of some of my older students that chances are I won’t have time to read it before them, either that or my husband will grab it! The author is very well known in the USA because of his previous book the Notorious Benedict Arnold (this was also an award winner). However because that type of American history has no place/relevance to our NZ curriculum I haven’t had the opportunity to read it. Bomb is an extensively researched book with an impressive bibliography of primary and other sources. Itch…Alex Rider meets science geek…and the result is explosive! Itch : the explosive adventures of an element hunter by Simon Mayo published by Double Day/Random House 2012. I had read about this book and thought it sounded great – a new, fresh and exciting storyline, that might appeal to the science lovers amongst my students. I wasn’t sure whether to buy it for my Primary School collection worrying that it might be more of a teen read. Yes, it is a more grown up read, but it is exactly the sort of book many of my year 6 and intermediate students are always looking for! This book for the most part is a thrilling ride and once I was into it, it became un-put-downable! Meet Itch – an accidental, accident-prone hero. Science is his weapon. Elements are his gadgets. This is a hero with Geek-Power!Itchingham Lofte – known as Itch – is fourteen, and loves science – especially chemistry. He’s also an element-hunter: he’s decided to collect all the elements in the periodic table. Which has some interesting and rather destructive results in his bedroom . . . Then, Itch makes a discovery. A new element, never seen before. At first no one believes him – but soon, someone hears about the strange new rock and wants it for himself. And Itch is in serious danger . . . Coincidentally I started reading this book on the day I also read an article in the New York Times about the demise of the traditional chemistry set as an educational toy. It seems parents and toymakers are so risk averse these days that everything that is packaged in a chemistry or science exploration set needs to be safe enough to eat, and shouldn’t pose any danger whatsoever…to a child or their property. However the article also pointed out that modern science toys fit better with the educational process of ‘Inquiry’ rather than being formulaic. “What we do is give kids the opportunity to learn through problem solving, …Of course, technology has also remade the experience of learning science. Children may be more likely to click on a science app than to go play outside.” (NY Times Dec 24 2012 see link to full article). Itch (short for Itchingham Lofte) is a budding chemist/scientist and would certainly be a challenge for most parents. He takes a few risks in the beginning of the story that have disastrous consequences and are potentially life-threatening. The beginning of the book may seem a little slow for some readers as Itch introduces us to his hobby of collecting all the elements in the periodic table. I found this fascinating, the science isn’t too overwhelming and it is more interesting than if our hero collected stamps, McDonalds toys or Pokemon cards! The author throughly describes Itch’s life at home with his family, his school and teachers as well as his limited social life (Itch doesn’t fit in with his peers easily). All these descriptions and the telling of Itch’s explosive experiments are essential to the reader’s understanding of why Itch so desperately wants to do the “right thing” later in the story and not only save his family but the world. The author has obviously thoroughly researched the scientific aspects of this story – so much so that it feels a seamless blend of real science and a little science fiction. There is already news of a sequel “Itch rocks” – I hope it as good as this one! This copy available for loan in our library – early Term 1. In the mean time – visit the book website where you can read an extract from the book and download your own special poster of the periodic table. For teachers: The National STEM Centre in the UK featured this book and promoted it during National Science & Engineering Week (9-18 March 2012). The National STEM Centre has produced a special collection of resources on the eLibrary to support the release of the new novel. The Elements collection contains resources which can be used to support the teaching of elements and the periodic table.